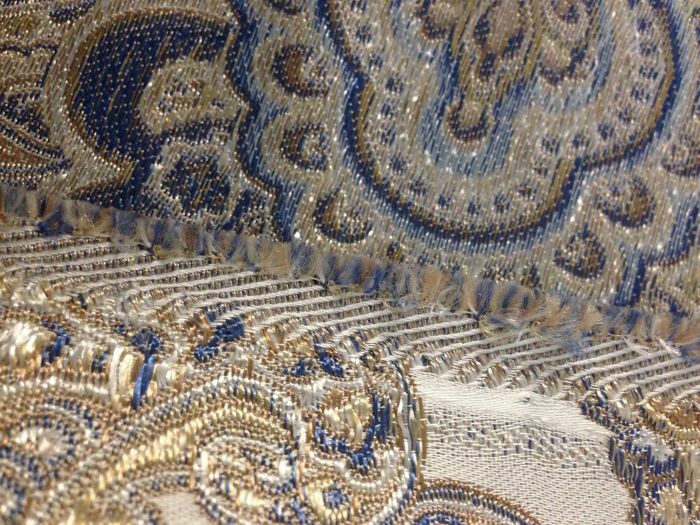 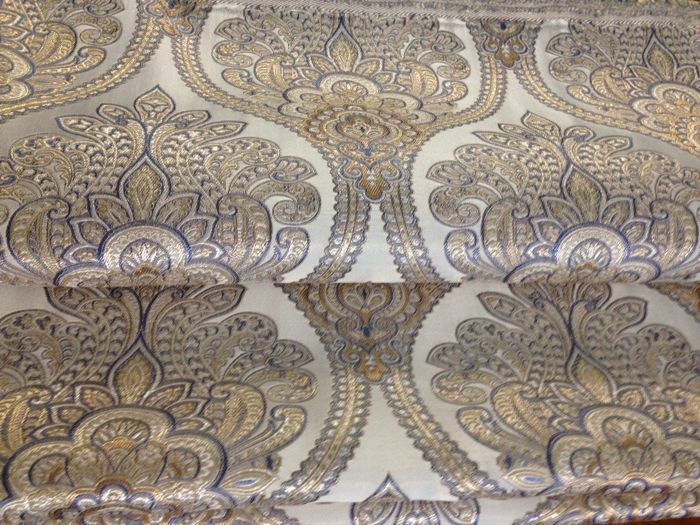 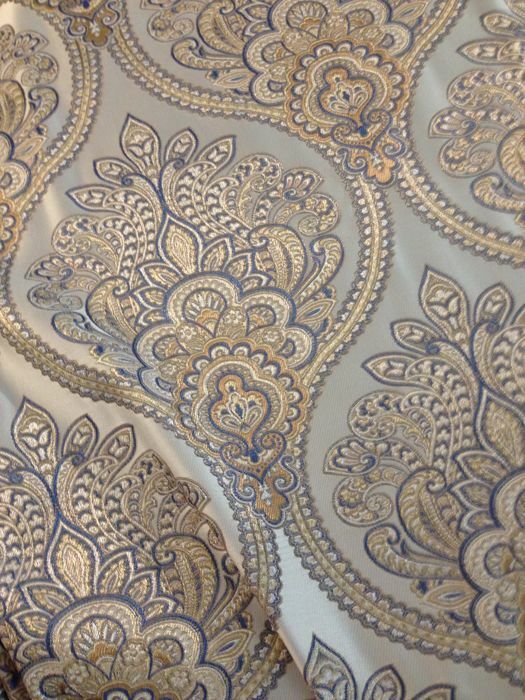 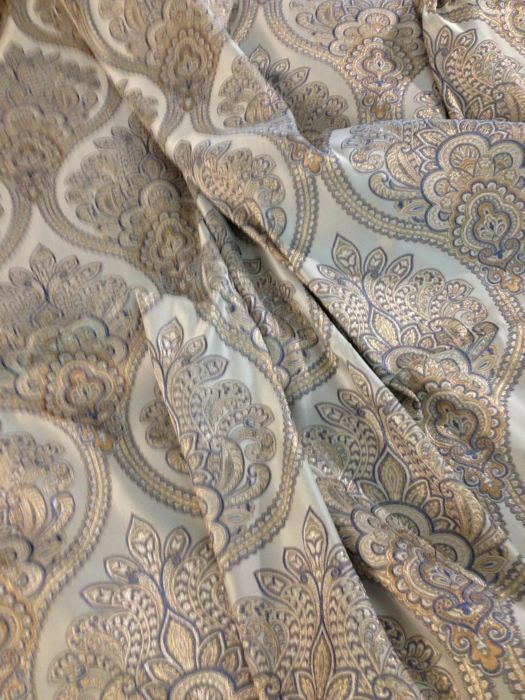 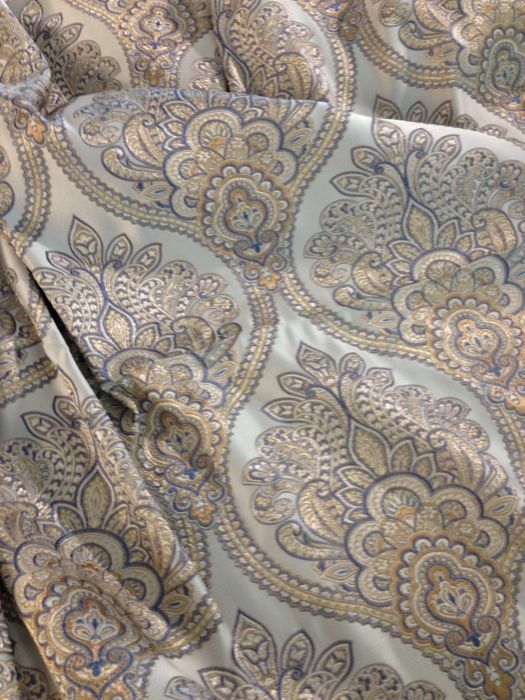 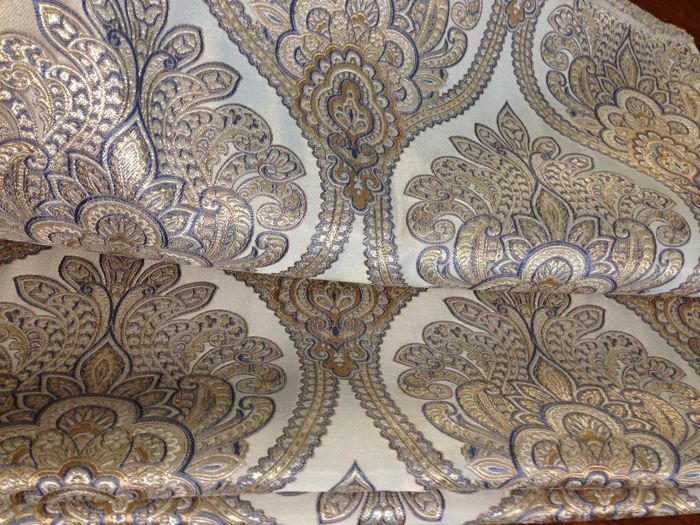 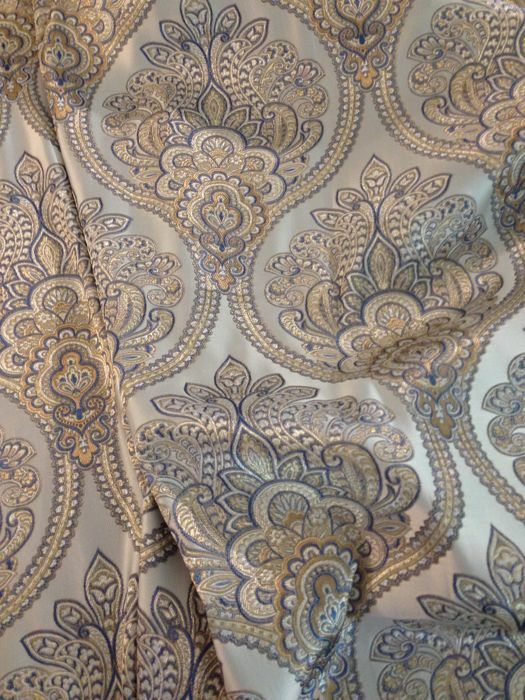 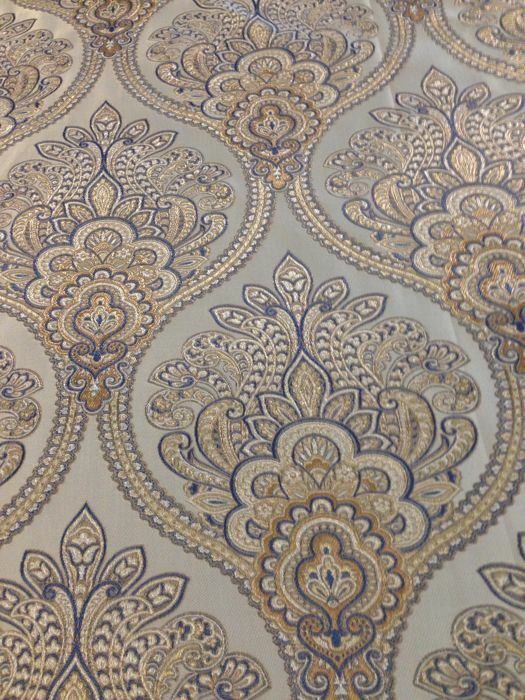 Elegant and precious silk-effect damask lampas fabric, from the best San Leucio manufacture. 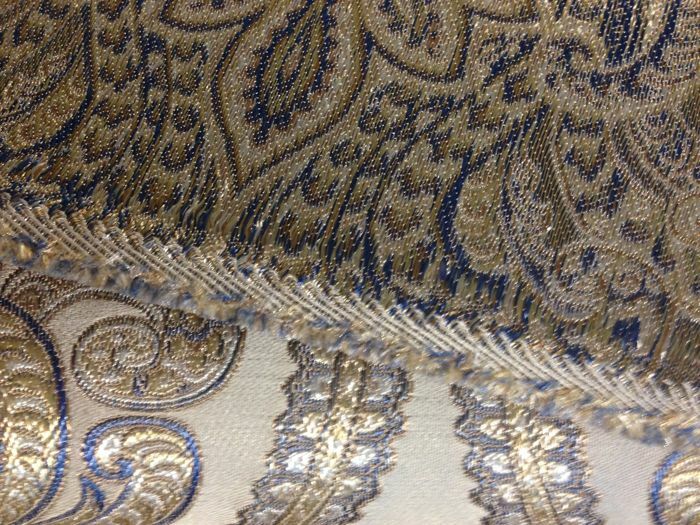 Loom woven, in light blue colour on a silver background, with Art Deco style damask decorations. 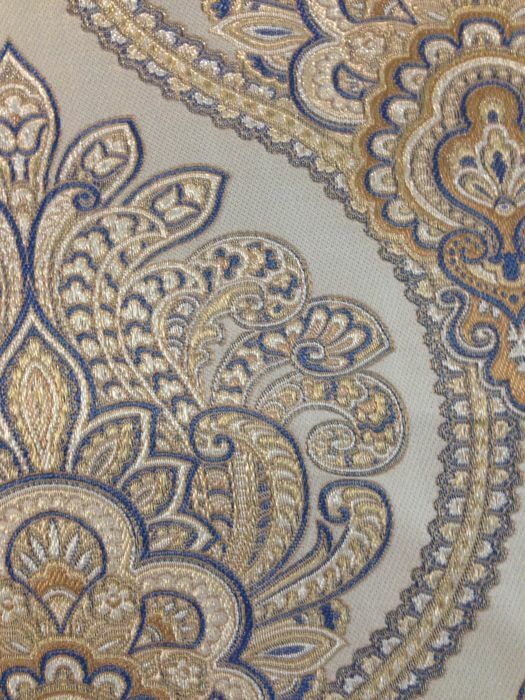 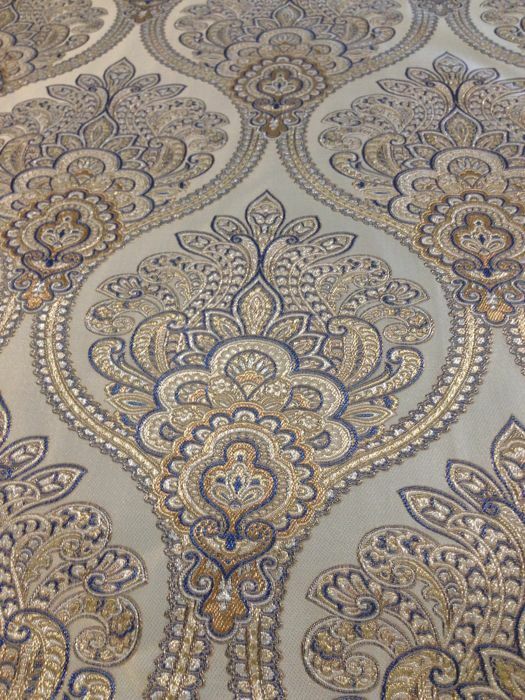 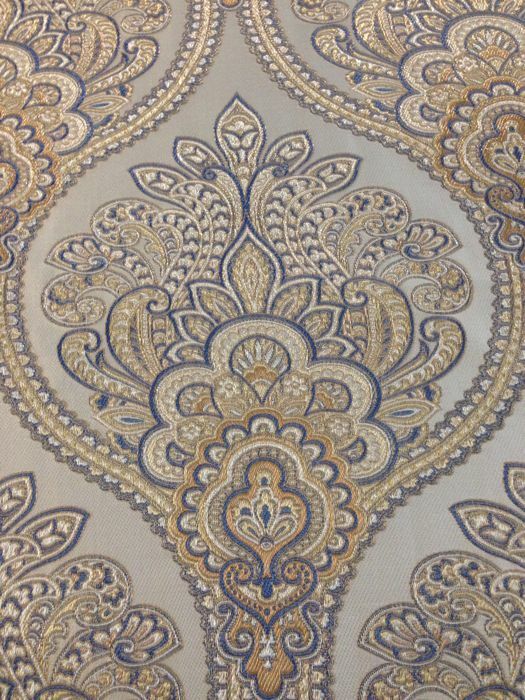 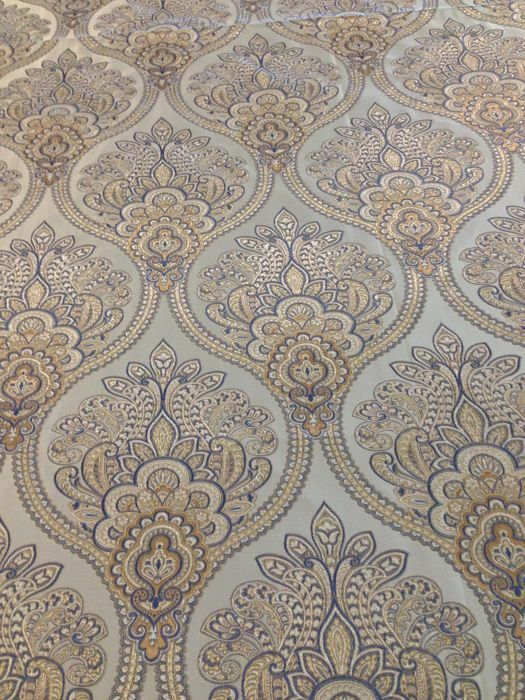 Made up of 2 cloths, each sized 270 x 140 cm.Perfect for upholstery and curtains in prestigious settings. 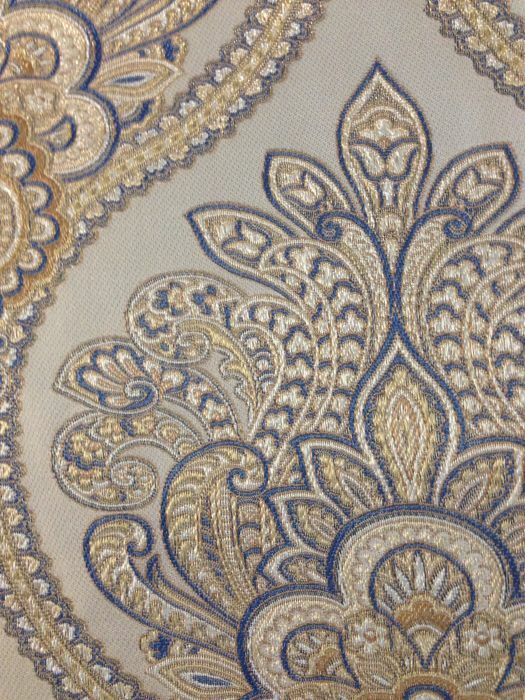 You can pick up this lot from the seller: Cellole (caserta), Italy.